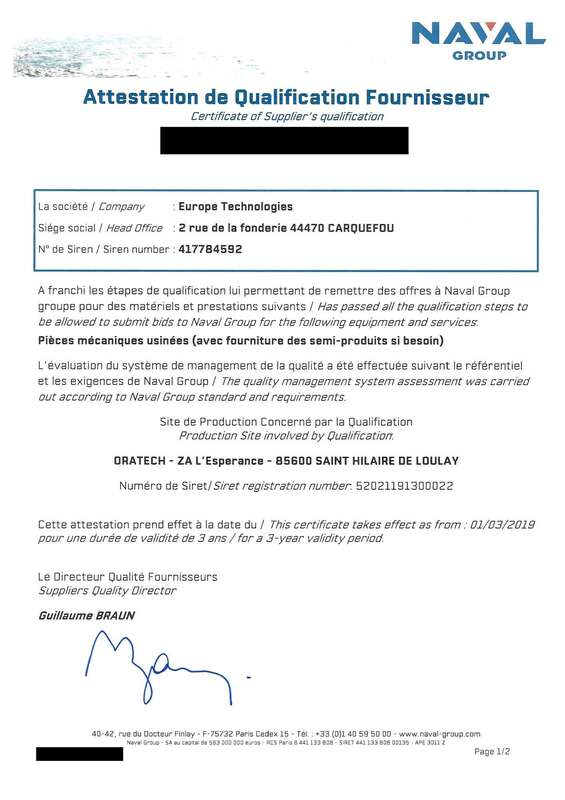 In a difficult and increasingly selective context, where the economic and manufacturing stakes are getting tougher, we are proud to announce the renewal for another 3 years of our referencing with NAVAL GROUP through the EUROPE TECHNOLOGIES holding company. This qualification, given pledge of confidence, again reinforces our position and demonstrates our true expertise. We thank NAVAL GROUP company as well as the professionalism of our teams who allowed this extension.